On the surface, it might sound strange to hear a Ukrainian talking about a return to Germany as his "homecoming" but, as bundesliga.com probes deeper into the words of much-travelled forward , it actually makes a lot of sense. 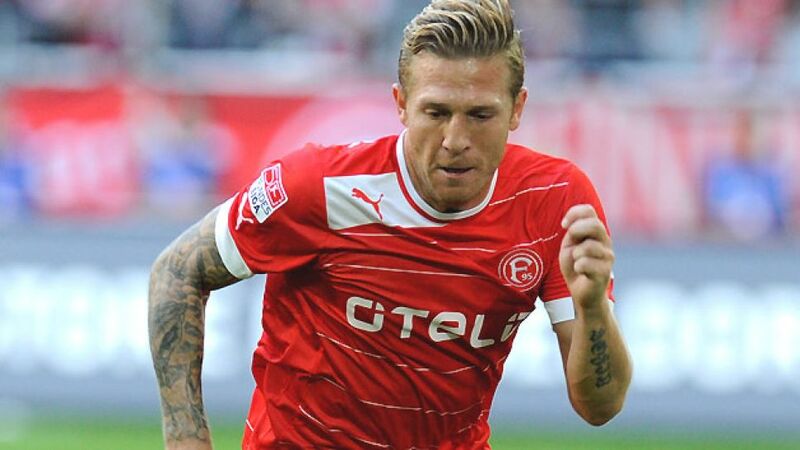 After all, home comforts are something we can all relate to and it is no different for the 33-year-old veteran who, in many ways, has returned to his roots in the wake of his summer loan move to Bundesliga newcomers Fortuna Düsseldorf. Voronin spent the last two seasons at Russian Premier League side Dynamo Moscow but, although captain, wasn't always happy at the club: "There's no doubt I wanted to leave Russia. Differences with the trainer meant I wasn't playing any more." So when Fortuna moved for their man, Voronin jumped at the chance to play under former mentor Norbert Meier: "I just had the feeling that the coach and players knew what they were doing", said the veteran striker. Fortuna are his fifth station on the Bundesliga train after Borussia Mönchengladbach, FC Köln, Bayer Leverkusen and Hertha Berlin. He's already found the net 48 times in 145 appearances in Germany's top flight, with his most recent spell at Hertha a particular highlight as the capital club went within touching distance of the Bundesliga title. Although he's not hit such goal-scoring form at his new club, the Bundesliga journeyman's invaluable experience has undoubtedly rubbed off on strike partner Dani Schahin, who scored twice on his Bundesliga debut on Matchday 1, before helping himself to another brace on Matchday 6 of the 2012/13 campaign.